Features unique artwork by Alchemy Gothic. 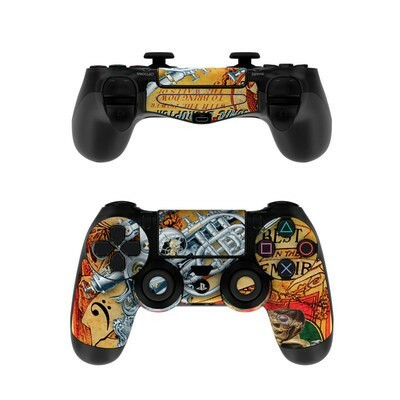 Remember, we offer over 1000 pieces of art as skins for your Sony PS4 Controller. Very beautiful skin! 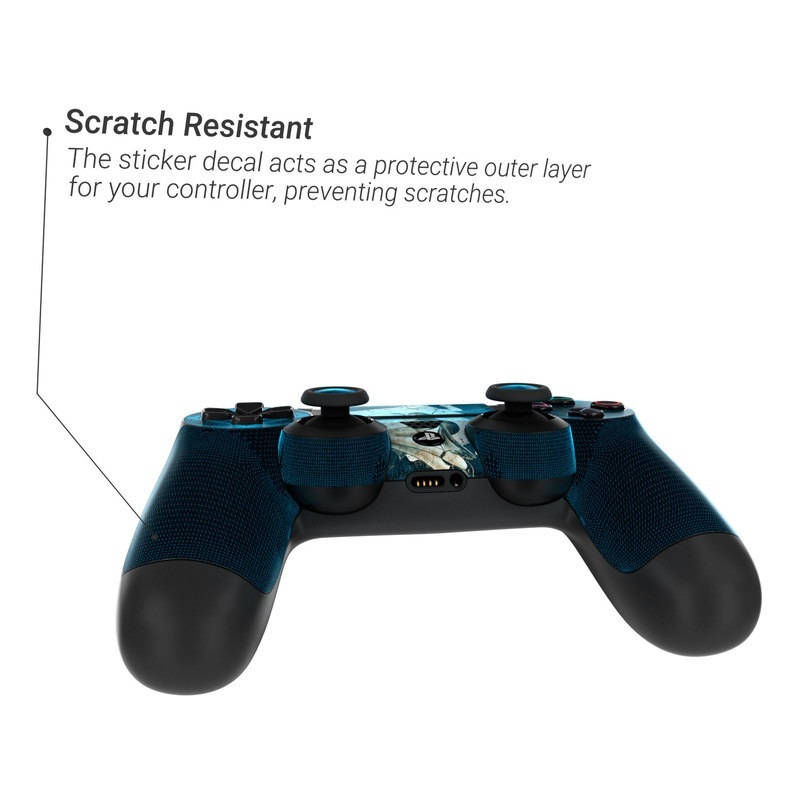 With the Matte feel,even when playing for hours decal does not peel/fade or collect sweat/fingerprints from hands. Only wish that the Decal covered more area on the PS4 Controller. Awesome skin. Seamless, eyecatching, different. I love the design it just looks amazing. Got this as a gift for a girl friend, she told me it was perfect after she unwrapped. We are both extremely happy, thanks! Skin looks great on my controller and feels great. Easy to apply, too. Love the style and love it on my white controller! i didn't think it was gunna look as great quality as it did. looks a little confusing to stick on but its gunna be a great side gift to the PS4! Very Nice and beautiful Skin. It looks even better in person. I am so excited about how great my ps4 controller looks now. I wanted it to be girly and bright and thats what i got. I finally have my awesomely adorable controller. Thanks so much. Its perfect. 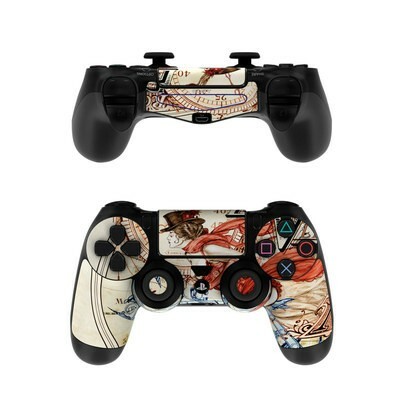 Gorgeous artwork that looks amazing on my black PS4 controller. Only downside is that the color isn't as bright as the picture. the middle part over the touchpad looks great, but the pieces that fit over the handles just kinda disappear and it doesn't really look like there's anything on it. :/ Still love the design though, even still. Turns ordinary to extraordinary!!! Amazing quality! My PS Vita Skin arrived in 3 days and the quality was absolutely amazing! Got them for my little brother for Christmas and he loved them. 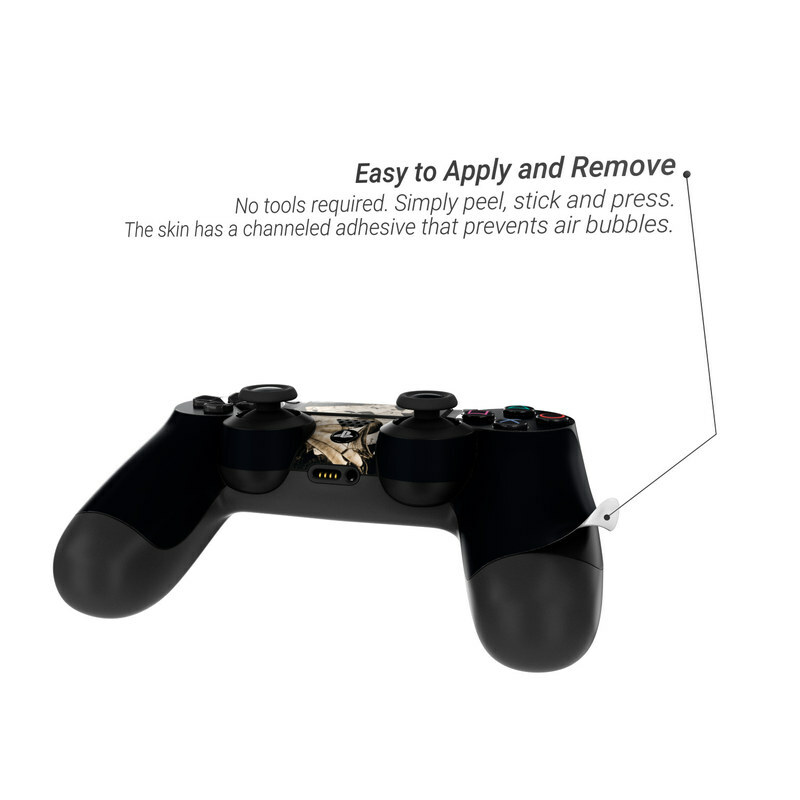 Great design and super easy to apply! Great skin! Went on flawlessly and looks awesome! The quality was amazing, also how easy and quick it took to apply is great, strongly recommend. This is just as good as the preview image. Love the way it looks on my controller. Great materials, the only issue was when I tried to place the bottom parts, they do not fit exactly the whole controller but I really love your work guys. Thank you for make my ideas, my design come true, worth every cent. Looks fantastic. went on easy. No bubbling and even when I had to pull it off and Move it, it went very smoothly. Amazing quality, only issue was putting the decal on the controller was a little more difficult than other DecalGirl products. Looks nice when applied, just like the picture! this was my first playstation controller skin so it was a little tricky to put on but the 5 stars is on the design, loved it. Looks really nice, was not very well fitted at the palms sadly. I’ll definitly Be Ordering From Here Again! I was Nervous It Wasn’t Going To Be What I Expected But It Turned Out Awesome!! The controller reminds me of Tetris on my PlayStation 1. Looks really nice, now I don't have to fight about the color of my controller! Bought this design for my ps4 2 years ago. 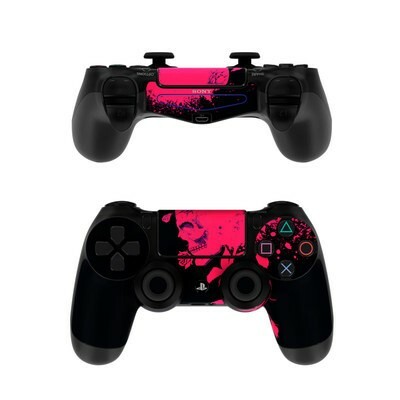 Wanted my new controller to match ??? It's not a big deal but it is difficult to put on which could also result in the skin not lasting long. Other than that I like it. Got this skin for my husband since he's a HUGE fan of Spider-Man and because he loves it, I love it!! This looks BEAUTIFUL with my black controller. Looks even better at night ?? The skins went on easy and would only stick if pressure was applied so you could better line them up. My friend was very impressed by the material. The cuts were a tad off on some things, but I didn't mind. It is very pretty and makes my controller look nicer than the bland black. I would definitely recommend. Its great! The skin is made of a nice thick material that doesn't seem like it will tear easily. There was a mystery sticker included with the decal though. It had a cut out that was the right size for the serial number on the back of the controller, so that's where I put it. It is very pretty, but it is difficult to get on smoothly - especially on the handles. The pieces around the buttons and in the middle went on fine, but with the curve on the handle, it just doesn't lay well and I constantly have to push it back down. 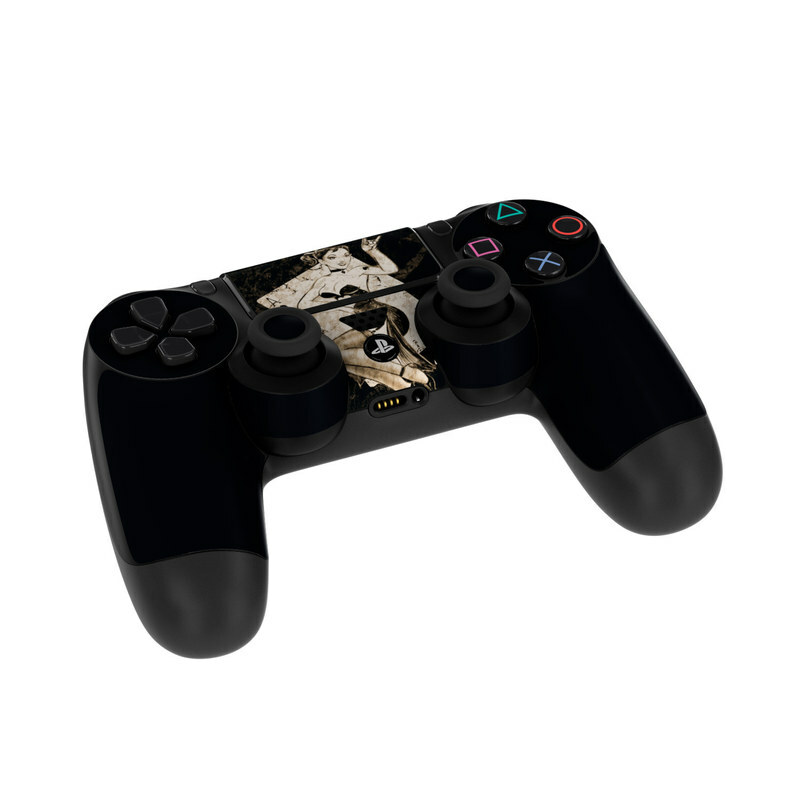 This decal looks awesome on my PS4 controller. The colors are just as vibrant as they are in the pictures online and as always the decal pieces are very easy to apply. I dont know, but i looks like it doesnt fit perfectly for the grip section, so it looks odds, anyway the skin quality is great. First thing I've bought from this website and it has a great quality as well as being easy to apply. Love the artwork too. It's so pretty and a very zen design. I have already made my friends jealous!! It complements the table I have my PS4 on, so with the console they look super nice. A very beautiful design. Really makes the controller stand out! I'm already using KF Grips, so I could leave them away. My custom skin fits perfectly and feels great! Only thing to complain about is when you use a .png for the light bar skin, I thought it would be transparent where I made it, but it's white so the light from the bar doesn't shine through. But all in all great skin! Great decal looks great on controller only complaint is that the right thumb stick decal's adhesive has worn out after a year but I thinks its due to heavy use. Its a great skin the only problem I have is that the right thumb stick decal comes off from use. Awesome design! I have it for most of my devises. 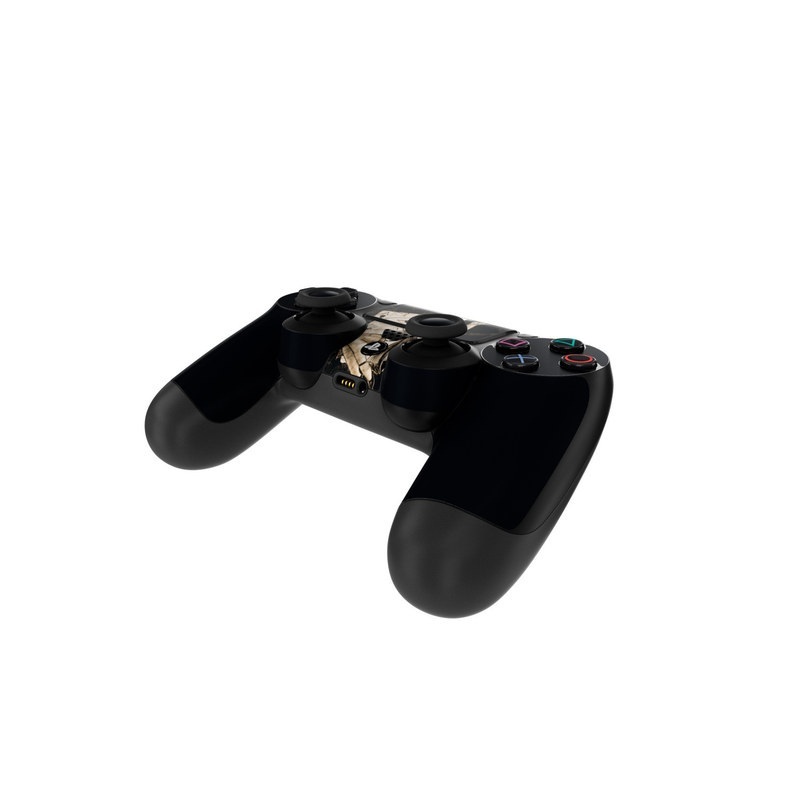 It's great for a black controller, and it I have the matching design for my PS4. I love the look of this skin. Really easy to apply without over-stretching. BEST THING OUT THERE BETTER LOOKING THAN ORIGINAL!! I love the abstract designs of certain skins, this one just took the cake, it looks great! We feel like we're playing in a game with our oh so bright controllers! adds a touch of class to my controller the matt finish works very well.Very pleased.